2016 has started off as a very exciting year for the team here at Office Kit for a number of reasons, 1 – we have just launched our brand new website, which we hope you’ll like as much as we do, and 2 – we can confirm that the Office Kit showroom will be moving to bigger and better premises in February 2016! 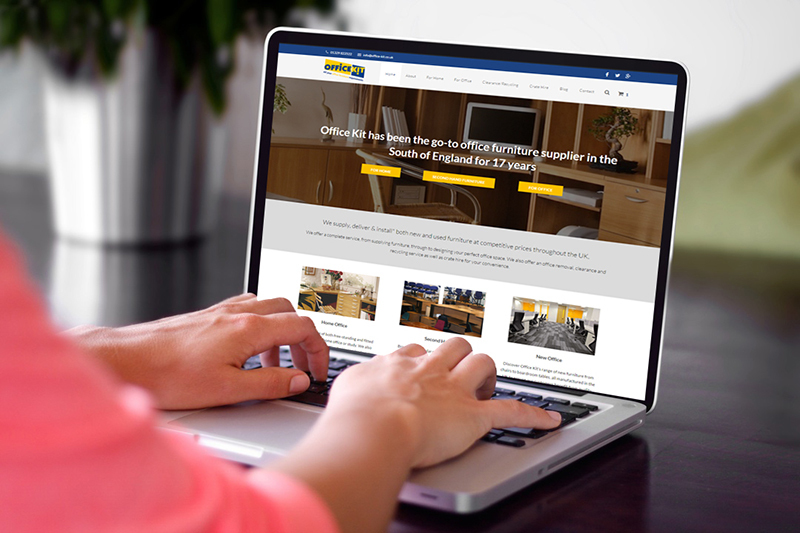 Our new website now showcases all of our new office furniture with the added functionality of being able to buy the range online! You can also purchase our range of free standing home office furniture via our website and we are currently developing the same functionality for our growing collection of second-hand office furniture too, so stay tuned! Please take a look at our new website and let us know what you think! Secondly, we are very pleased to announce that our showroom will be relocating next month (February) just down the road to our current location, closer to Asda on Newgate Lane. More details of opening and the exact location will be revealed soon. With our imminent relocation on the horizon, we are currently holding our biggest SALE to date in our current showroom where you will find HUGE DISCOUNTS across our vast range of new and used office furniture and home office range. Our special prices are only available in-store and for a limited time, so don’t delay, now is the perfect time to kit out your new office or refresh your old and tired furniture – visit our showroom today!